Rocking this amazing white polish from Rita Ora's range for Rimmel, White Hot Love (review to come!) / sniffling a bit at NCI's last Seven Deadly Skills event and being thoroughly entertained by speakers Kirstie McDermott and Anthony Remedy / incredibly impressed by Ireland's answer to Glossybox, the Chic Treat Club / floored by the attention to detail at this Garnier haircare launch - product themed mocktails, FTW! / and delighted at finding my own Ultimate Blend from the range (post to follow!) 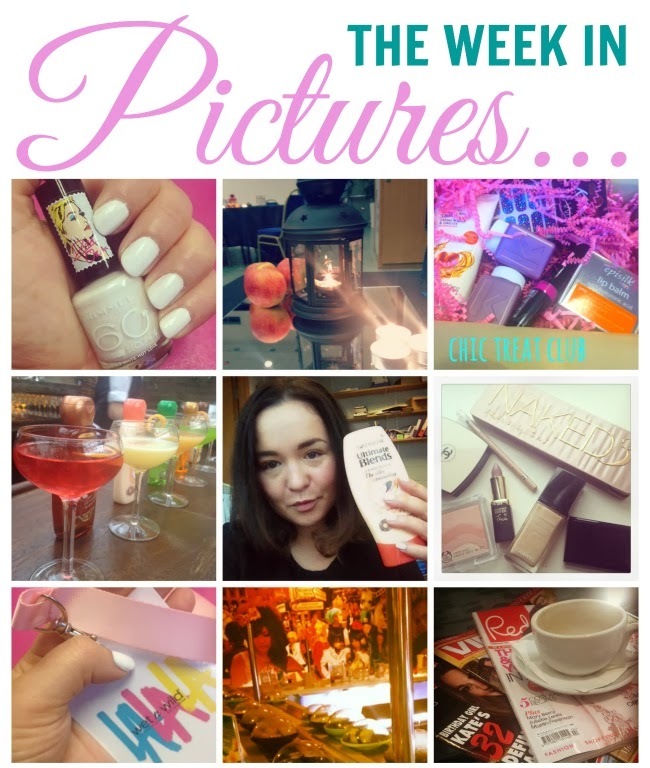 / talking tran-seasonal beauty over on Frillseeker / excited about Wet n Wild launching in Ireland / filling my face (and stomach) at Yo Sushi / catching up on the glossies at the remodelled Peter Mark on Grafton Street. Look like you had a great week. I had Sushi this week with friends. Curious about the ultimate blends! Fun week, esp white nail polish... and cocktails! This week I have honestly been struggling to get anything productive done. Maybe this upcoming week will go better. I have to try white nail polish.